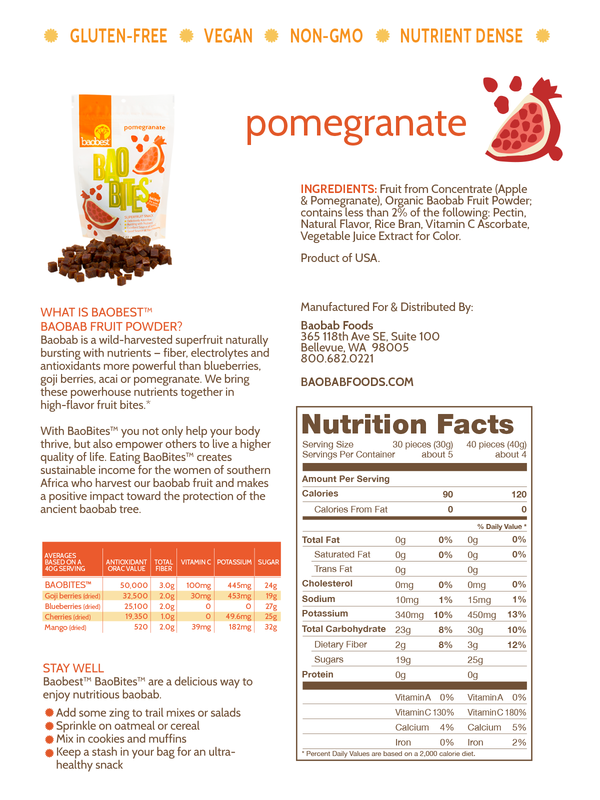 Pomegranate BaoBites – 5.5 oz. BaoBites – our deliciously addictive superfruit snacks are bursting with antioxidants and a good source of fiber and potassium. Game on, Game over – Compare nutrients, antioxidants and sugar levels of any dried fruit against our Deliciously Addictive Super Fruit Snack. Eat as an ultra healthy snack, add to oatmeal or cereal. Add zing to trail mixes or salads. Mix in cookies or muffins. 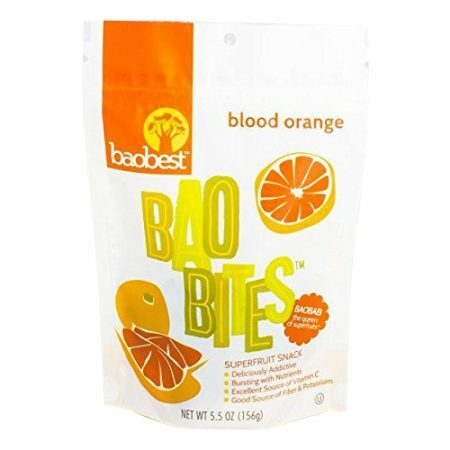 Blood Orange BaoBites – 5.5 oz. 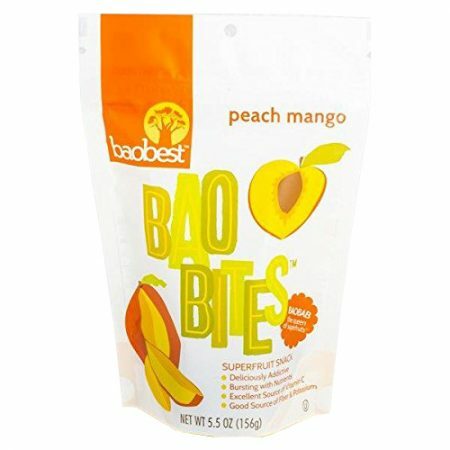 Peach Mango BaoBites – 5.5 oz. Baobab Powder – 16 oz. 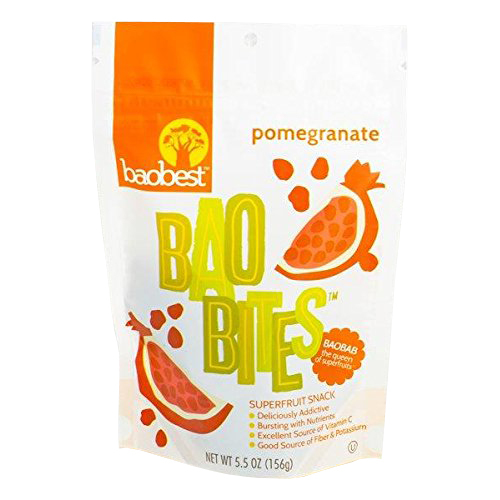 Bag Peach Mango BaoBites – 5.5 oz.